With sales of the Wii version off to a roaring start, SEGA now turns their attention to replicate the success of Mario & Sonic at the London 2012 Olympic Games on the resurgent Nintendo 3DS. A 20-strong roster of series favourite characters all once again vie for a podium finish, categorised across Heroes, Girls, Tricksters, Wild Ones and Challengers types, each granting their own unique strengths and weaknesses. An intriguing addition is that of a Story Mode, a branching narrative chart seeing Mario and Sonic go tasked with seeking to clear a mysterious, coloured fog that has shrouded London ahead of the 2012 Olympic Games opening ceremony. Unsurprisingly, Bowser and Dr Eggman are responsible, and the player must defeat their henchmen through participating within Olympic events as they set out to stop their evil scheme. This proves, more than anything, to be a simple yet effective method of gently introducing varying control methods implemented across the game. Events utilise the capabilities of the Nintendo 3DS far more than its counterpart achieved with the Wii Remote. Tapping the touchscreen to maintain sprinting pace in the 100m Freestyle, moving the Circle Pad to paddle in the Kayak, using Gyro controls to aim during Archery, moving the handheld entirely in continuous motions during Rowing, or even blowing into the Microphone whilst Sailing are just a range of examples. Such extensive design must be applauded, SEGA showcasing the user input diversity of Nintendo’s handheld to its full extent. Olympic Mode, able to be played in either Single Player or Multiplayer guises, diversifies itself between Highlight Match or Medley Match types – either seeing you compete within either a singular or series of events respectively. Within Medley Match, you may opt for either Standard or Quick versions, the difference being that the latter negates the inclusion of pre-event instructions for experienced players or speed things along for those playing on the move. Beyond this, Medley Match divides further into varying categories: London Games, based on event genres such as Cycling, Court & Field or Contact Sports; Variety, which is based on control schemes and gameplay styles such as Rhythm, Timing or Sports IQ; and Party Mix, a timed selection of special games. You’re also free to create your own Custom event selection. Along the way, with Mario & Sonic at the London 2012 Olympic Games, you’ll collect tickets, earned by completing events or passing time, which may be used with a badge vending machine. With this, the player spins a wheel through use of the touch screen to win prize capsules that allow you to build an extensive badge collection that features characters, animals and astrological signs, for example. It’s entirely superfluous to the game itself but will prove an added diversion for younger players. Multiplayer also sees inclusion, although this finds itself limited to Nintendo 3DS Local Play or Download Play for up to four players. Online Rankings add a welcome competitive edge to proceedings, players able to compare their fastest times directly with friends, as well as local (scores closest to yours) and top performers. You may also track your own performance through Play Data, allowing you to view your top five ranked event scores, for instance. 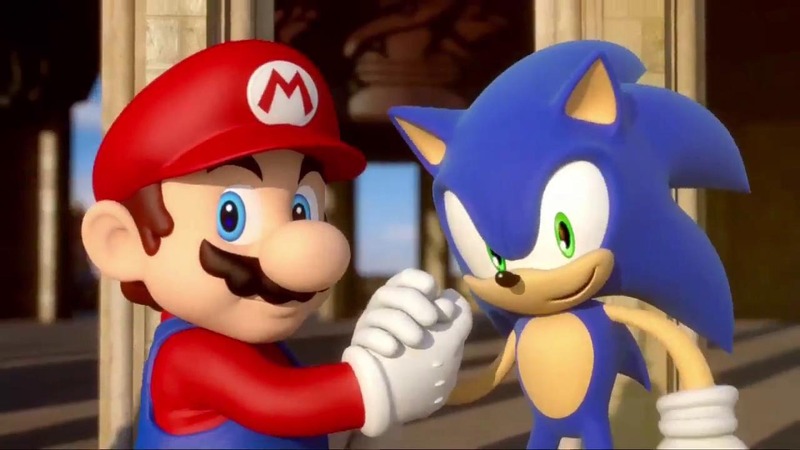 Mario & Sonic at the London 2012 Olympic Games proves an enticing purchase, and deservedly so. Diverse gameplay experience, allied with intuitive design, ensure that this is a further Nintendo 3DS release that owners most certainly won’t want to be without.